5 cologne-based improv-musicians try to do the impossible: to let go..! To forget about their 60’s to 90’s influences as the independent music-addicts they were and try to do their own sound. Fact is: It’s totally improvised, uncensored, no overdubs. It’s done directly on CD. So go ahead and just blow your cool! 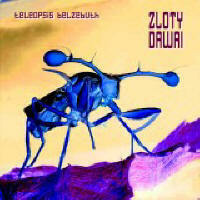 Zloty Dawai’s debut “Jazz Nazis Must Die” was self-distributed. Teleopsis Belzebuth by Zloty Dawai is licensed under a Creative Commons Attribution-Noncommercial-Share Alike 3.0 Netherlands License.